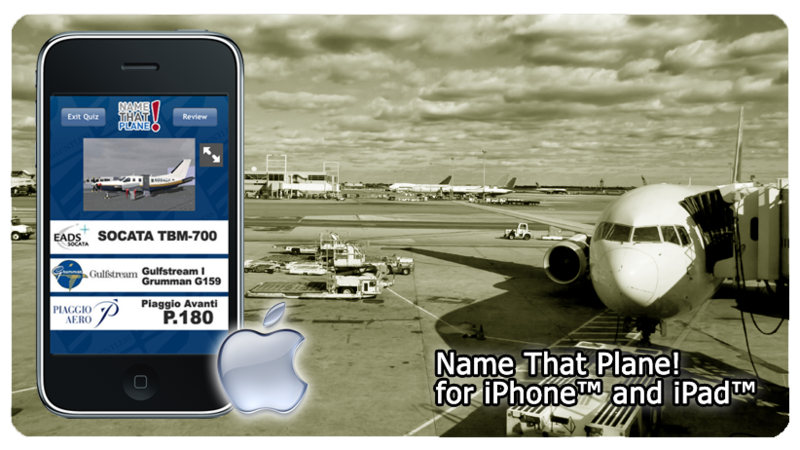 Please click on the above link where you can get (or learn more about) Name That Plane for your iPhone™, iPad™, iPod Touch™, or compatible device. Dozens of actual aircraft - very similar to the PC version. "Captain's Challenge" mode to really test your skill.